To be able to count on a Mother is one of the greatest things that God can give us. Many Mothers accompany their children from heaven, while others have the blessing of having them alive. So we can count on their presence, unconditional love, advice and warnings, which is a complete fortune, because no matter how much you keep growing, they will continue to care for us as they did from the first day. We must protect our Mothers, love them, conceal them, take care of them; but above all we must respect them because they are the ones who gave us life and to whom we owe everything we are and what we can achieve, so, we should give back the immense love that they give us. In the following article, we present beautiful love phrases for your Mother in her day, so that you can show her all your love through these phrases and make her feel the most beloved and adored woman on the planet. What would be better than to receive a beautiful message from one of your children? It would be a very good way to show your feelings towards her. – “Dear Mom, today I can enjoy the life that God gave me through you. You are the most beloved Mom in the world, you are wonderful. Sometimes I feel that I cannot show you the magnitude of the love I have for you, that love that you always gave me, because it is infinite, just as a Mother knows how to give. Happy Mother’s Day!”. – “For me, it’s very valuable to know all the little things you do for me. What I highlight the most is the love and commitment you put into realizing them. I love you so much Mom!”. – “You are a daring Mom, who deserves everything from us, your children, since you trained us with great dedication and now we just want to show you in a thousand ways the gratitude we feel for having such a brave and loving Mom. We love you!”. – “Mom, I just want you to know, that the love I feel for you is infinite. I give you my love, the one that I learned to give as you did with me. Happy Mother’s Day!”. 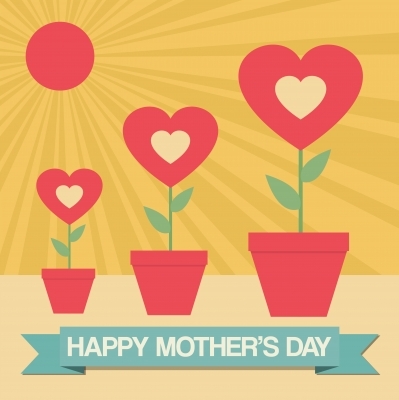 Consider these beautiful messages for your Mom in her day, so that she feels very much cared for and loved by her children. It’s a way to make her feel loved even when you’re distant. Happy Day to all the Moms of the world. In our life, there is only one person whom we must love and respect above all others: our Mother. She is the one who brought us to the world with great joy, who gave us her time to educate us, to teach us the path of good. And more importantly, she gives us her eternal love. If you want to entertain your Mom in her day, we invite you to use any of these beautiful phrases. – “What I appreciate most about you is the unconditional love you always give me. Thank you for loving me so much. I will always love you too. Happy Mother’s Day!”. – “I will always thank you Mom for all the sacrifice you made to give us a good education. It will never be possible to show you all the gratitude I feel for it. Happy Mother’s Day!”. Take advantage of this day to dedicate these lines to your Mother, so that you can express in a better way all that you feel towards her. Congratulations to all the Moms of the world in their day.